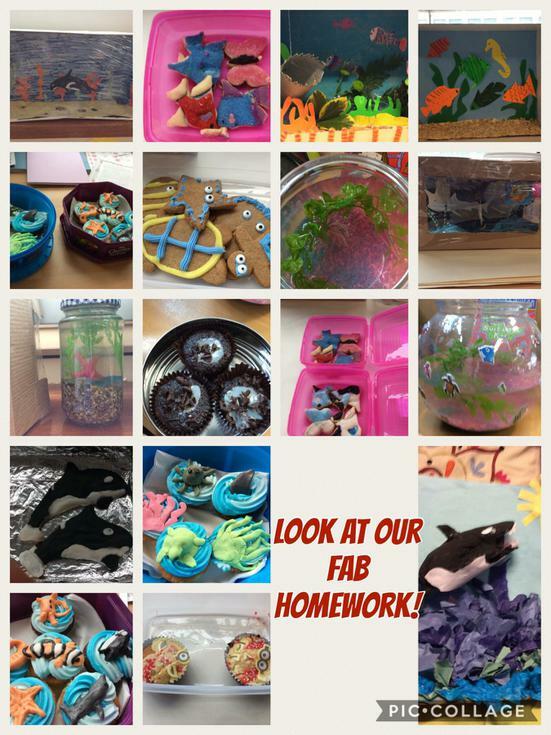 Week 4 was a busy old week as we went choral speaking crazy, used cake and chocolate in our fractions work and got writing to SeaWorld. Oh and don't forget saving the planet one plastic bag at a time...read on to find out more!!! Cake and chocolate you hear?? 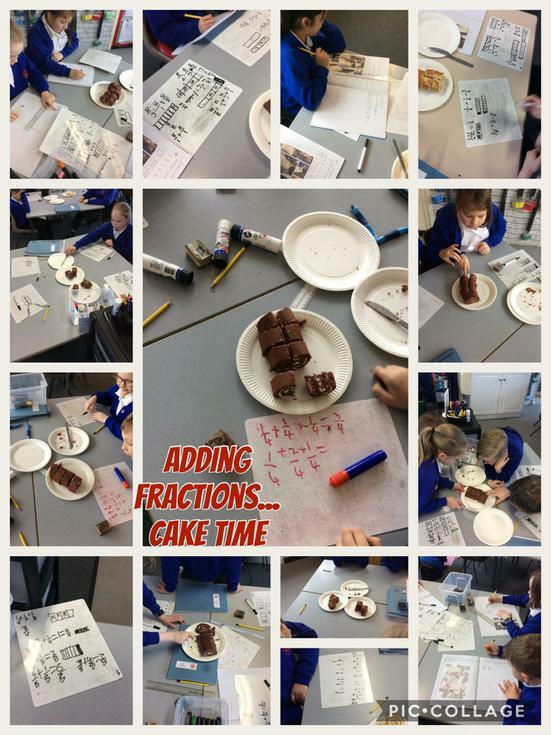 Yes that's right we used cake and chocolate to help us add and subtract fractions. The children were busy spotting rules and really considered what they had learnt. In true Year 4 style we included a dance move for the 'denominator stays the same'! In our reading into writing, we edited and published out letters to SeaWorld so we need to get them sent off as soon as possible. Our work on the Blue Planet doesn't stop there as we have sponsored a Cheetah (after a class vote) and will be writing a documentary voiceover in the next couple of weeks. Watch our David Attenborough! For science week, we completed a whole host of activities from creating and describing our own deep sea creatures (using our knowledge of adaption) and looked at the issues of plastic pollution. We carried out research into this current problem and thought about how we could raise the profile of this world wide issue in our school. Our art skills were used to design and make posters so watch out for them appearing round school. Can you do your bit at home? We want to thank all the children (and parents/carers) for learning our poems for Choral Speaking. The performance is coming along nicely and we are looking forward to the competition taking place on Wednesday 21st March. Remember all parents and carers are invited. Look at the letter on our main class page for the details. Another big thank you for all the amazing pieces of homework. We are so very impressed with all the time and effort the childre are putting into their work. Plus all the cookies taste delicious!!! Have a look below for some of the things whihc are being brought in. Have a lovely weekend everyone and we look forward to seeing you all on Monday.